Maybe you’ve started to see it happening in the form of stiffer muscles and a tired lower back, or perhaps you just like taking good care of yourself. Either way, the sooner people consider the process of aging, the better off they will be. As is suggested by the Chinese proverb, “The best time to plant a tree is twenty years ago,” it’s time to get moving. Muscle mass is ultimately more important than being able to run five miles, so focus on that. Ultimately, issues that often show up as we age have to do with body composition, or relative muscle mass, lack of flexibility, and joint issues. You don’t want to be that fifty-five year old runner who needs a series of knee replacements, anyway, and neither does anyone who shares your finances. As years pass, it is best to stick to exercise regimens that will not mercilessly pound on your joints, and will leave you stronger. Does this mean that you should be bench pressing increasing amounts of weight until retirement? No, certainly not. In fact, over-lifting and uber-zealous cardio both lead to more harm than benefit. Forms of exercise that will prove more helpful include yoga, Pilates, tai chi, qi gong, and of course, walking. Read about some of the benefits of each of these disciplines of exercise below. 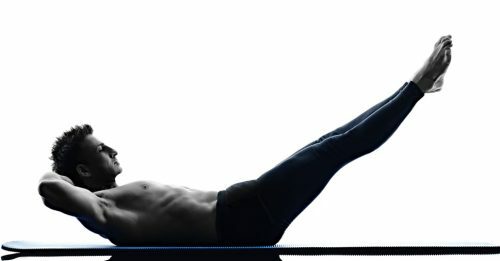 Pilates and yoga share much in common, except Pilates is more explicitly directed toward challenging or targeting specific muscle groups in order to develop them. Like yoga, Pilates classes are also available in the form of YouTube videos for those who would like to try. Both emphasize stability, core muscles, the conscious lengthening and activation of certain muscles, and will often include an inflatable ball– And who doesn’t love that? Two related martial arts from China, Qi Gong and Tai Chi are slow-moving and robust in their benefit. Each of them boosts energy, alertness, and concentration, and cannot be beaten as an early morning workout. Qi Gong is particularly useful for increased energy flow, while Tai Chi’s focus on increasing practitioners’ use and transitioning of their own weight is proven to prevent trips and falls that prove so nasty in old age. Getting up and moving around every hour will not only help you feel better now, but will also keep you limber as you age. Take a lesson from the extreme case of racing dog training. When racing associations train greyhounds, a breed of racing dog, their goal is often to never allow the dogs to sit down. The reason for this is that dogs who sit down develop “shorter” muscles, which inhibit speed and long, fluid strides. This means that the dogs are perpetually either active, or at rest with long straight limbs. To achieve this, some kennels even use controversial shock pads to ensure that the dogs learn never to sit down. Is this humane? Certainly not. But what you can learn from this is that muscles take form based on what position they habitually find themselves in. When greyhounds spend all of their time standing or lying flat out on the floor, they develop “longer muscles,” and are faster and more elegant and effortless in their racing because this is how their muscles are comfortable. If you train your muscles to stiffen up and hold you in a sitting position almost perpetually over the course of years, don’t be surprised when, in old age, all your body wants to do is sit still. Habits form bodily experience, so whenever there’s a chance, get out of that chair. Move around to different rooms of the house every hour, or leave the apartment and walk around the block, especially after meals. Take the stairs, maybe, or walk the dogs sometimes instead of just letting them out into the yard. Setting a phone timer and refreshing it after each break can help as well. Do this and thank yourself later. This does not mean reaching for your toes once a week to fill a quota. This is an everyday activity. Noticing how the body is feeling and listening to it can prevent any number of ills. Dog owners: stretch as often as your dog does, because dogs are more in tune with their bodies and often smarter about stretching than people are. Again, this is not a touch of the toes (or the shins) every week, or even a two-hour session devoted to “undoing” the week every Sunday. Instead, this should be a frequent, if short, engagement. Move around in bed before getting up in the morning, feeling each of your limbs and being conscious of the state of your neck. Stretch when you take a break from sitting every hour, after every workout, and before every sleep. Sustain this habit for a few weeks, and if you’re paying attention, you may notice an improvement in the quality of your life. Wisdom may grow with age, but don’t let youth prevent you from acting on the wisdom available to you. The best time to start low-impact exercise, after all, is twenty years ago. And the second-best time is right now.